Hi Team 624 Parents and Mentors,Congratulations to the Team 624 Annual Halloween Food and Supply Drive! We had awesome results despite a one-day delay due to bad weather. On November 1st, fourteen CRyptonite students participated in our team’s annual Halloween Food and Supply Drive. 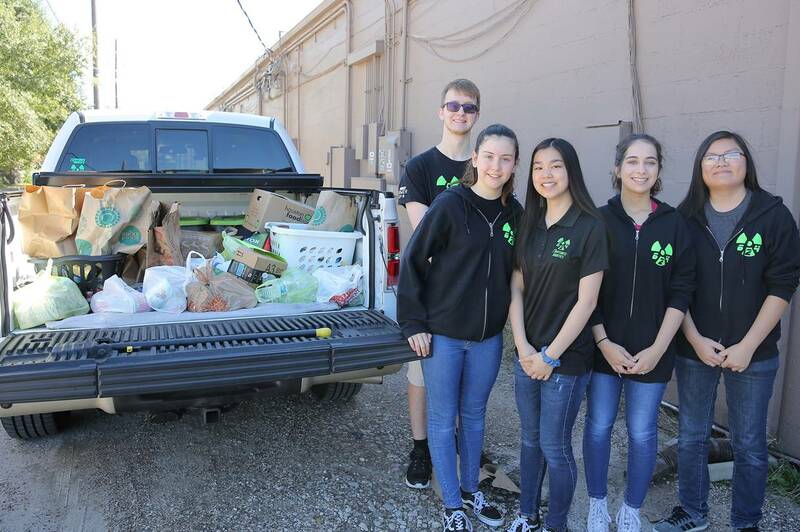 Starting a week before Halloween, the students delivered flyers and bags throughout the Bayou Crossing Neighborhood (just north of Beck Junior High) requesting food and supply donations for Team 624 to gather on Halloween night. And we had fantastic support from our neighbors! The students collected over 350 pounds worth of donations, along with a cash donation. All of the items collected were delivered to the Katy Christian Ministries Food Bank on Saturday, November 4th. It is great to see Team 624 reach out and help those in our community. Please thank the students for their work on this great effort!